Here's a look at how Oppo K1 stacks up against its rival smartphones. While Xiaomi mostly rules the budget segment of the smartphones, it seems that the company now has some serious competition. Following more for less strategy of Xiaomi, Oppo has launched Oppo K1 in India today with a price tag of Rs 16,990. The company has incorporated an in-display fingerprint sensor, which is impressive as no other brand is offering the latest tech under Rs 20,000 bracket. Apart from offering the latest tech, the Oppo K1 also offers the fancy waterdrop-style notched display design, Snapdragon 660 chipset, 25-megapixel selfie camera and dual rear camera setup. It will go on sale starting from February 12 via Flipkart. 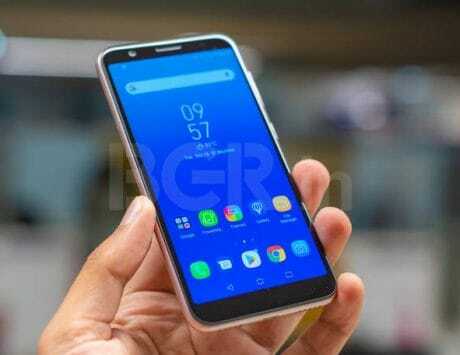 The smartphone will be seen competing against the Vivo V11 Pro, Realme 2 Pro and Asus Zenfone Max Pro M2. Here’s a look at how it stacks up against its rival smartphones. While the Vivo V11 Pro, Realme 2 Pro and Oppo K1 offer the trendy and fancy display design with a tiny notch, the Asus Zenfone Max Pro M2 features a wider notched display, which looks ugly now. 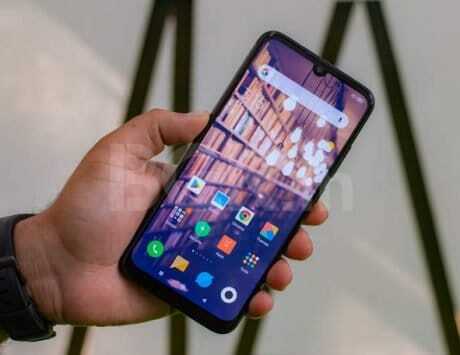 What separates the Oppo K1 from the Realme 2 Pro and Asus Zenfone Max Pro M2 is its in-display fingerprint sensor. While the Vivo V11 Pro too offers an in-display fingerprint sensor, Oppo is offering the same tech at a much affordable price tag, keeping the Oppo K1 ahead of the competition. However, the tech does sound cool, but it is not so developed. The Oppo K1 features a 6.4-inch display with Corning Gorilla Glass 5 and offers a healthy full-HD+ resolution. The AMOLED panel is a prerequisite for having an in-display fingerprint sensor, which also adds a point as rival smartphones except for Vivo V11 Pro, offers an LCD panel. Additionally, all the smartphones offer close to the 6.4-inch display. The Oppo K1 comes in Astral Blue, Piano Black color variants. All the smartphones are built around Qualcomm’s Snapdragon 660 chipset, which is an octa-core SoC and fabricated using 14nm process. The SoC uses custom Kryo cores. It comes with four Kryo 260 cores clocked at 2.2GHz and the other four clocked at 1.8GHz. The chip has spectra 160 ISP, which helps improve image quality and support capture of up to 25-megapixel sensor. The chipset is backed by Andreno 512 GPU. The Oppo K1 comes with only 4GB of RAM option and the Vivo V11 Pro offers only 6GB RAM option. Both the Realme 2 Pro and Asus Zenfone Max Pro M2 are available in both 4GB and 6GB RAM options. When it comes to battery department, Asus Zenfone Max Pro M2 has an edge over all the other smartphones as it offers a massive 5,000mAh battery. The Oppo K1 is backed by a 3,600mAh battery, which seems to be decent, considering the budget price and specifications it is offering. The Realme 2 Pro, on the other hand, comes with 3,500, while the Vivo V11 Pro is kept alive by a 3,400mAh battery. The sad part is that the Oppo K1, Vivo V11 Pro and Asus Zenfone Max Pro M2 and the Realme 2 Pro ships with the old Android 8.1 Oreo operating system with their own customizations. 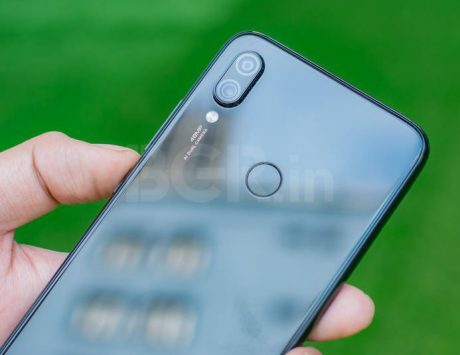 On the imaging front, interestingly, both the Realme 2 Pro and Oppo K1 is equipped with a dual rear camera setup, including a 16-megapixel sensor with an f/1.7 aperture and a 2-megapixel sensor with an f/2.4 aperture. Furthermore, both the Vivo V11 Pro and Asus Zenfone Max Pro M2 also offer dual rear camera setup, consisting of a 12-megapixel f/1.8 sensor and a 5-megapixel f/2.4 sensor. For shooting selfies, both the Vivo V11 Pro and Oppo K1 comes with a massive 25-megapixel front camera sensor with f/2.0 aperture and AI-powered features. The Realme 2 Pro sports a 16-megapixel selfie camera, while the Zenfone Max Pro M2 Pro sports a 13-megapixel front snapper. The Oppo K1 seems to offer a good balance between the fancy design and overall specifications, considering the price. It is affordably priced at Rs 16,990. The Realme 2 Pro comes with a starting price of Rs 12,990, while the Asus Zenfone Max Pro M2 cost Rs 11,999. The Vivo V11 Pro retails at Rs 23,990. One can clearly notice that the Oppo K1 and Vivo V11 Pro offer identical specifications, but the price difference between the two devices is too high by around Rs 7,000. It will be interesting to see how the Oppo K1 battle against its rivals.